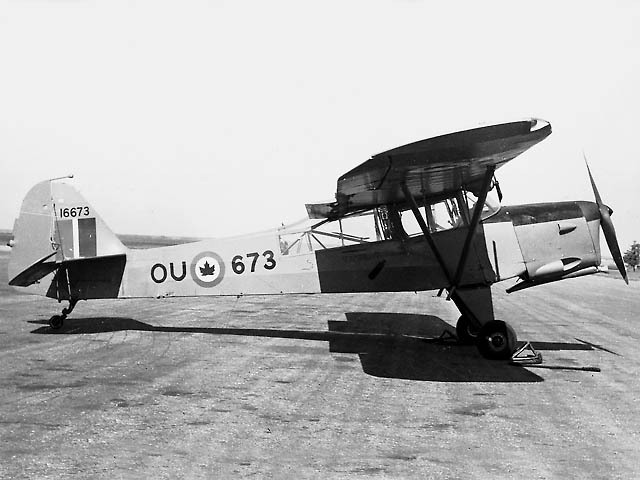 Auster AOP: In the USA in the late 1930s, the Taylorcraft Company enjoyed considerable success with its Models B, C, and D light planes, which were built for private use. 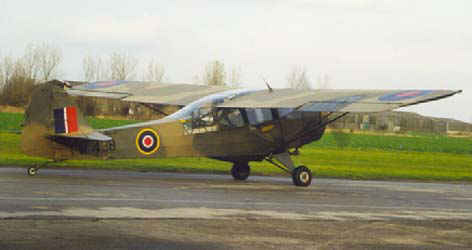 They were so successful that the designs were licensed for construction in England by the British Taylorcraft Company. 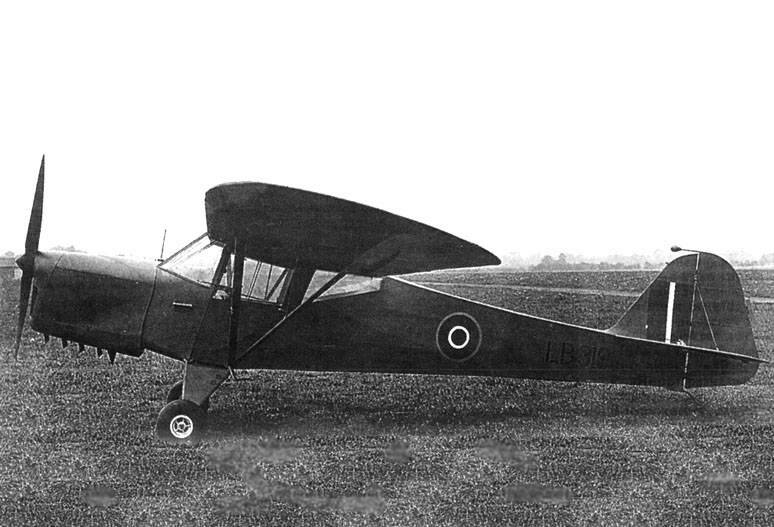 When WWII broke out, the RAF put at least 100 of these aircraft into service as liaison and observation aircraft, under the designation Auster I, powered by a Blackburn Cirrus Minor I engine. As the war progressed, other variants appeared, mostly due to engine differences. 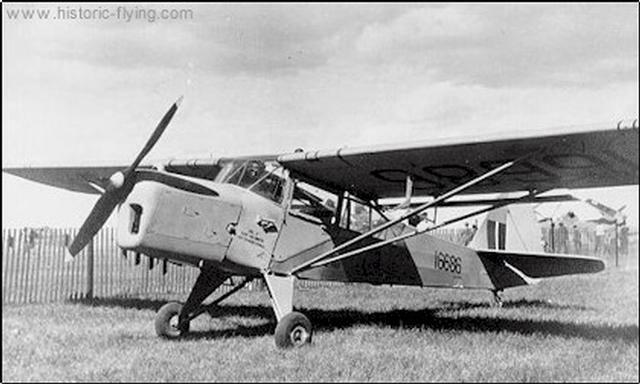 The Auster II, Auster IV and Auster V featured an American 135-hp Lycoming O-290 engine; and the Auster III looked significantly different with its 130-hp inline DeHavilland Gypsy Major I engine. 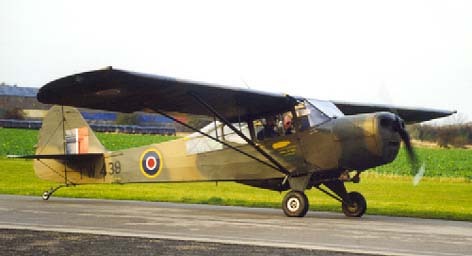 The Auster V proved to be the most popular, representing over half of the 1600 wartime Auster orders. Austers equipped 19 RAF squadrons in several combat theatres, providing frontline units with valuable and varied services. 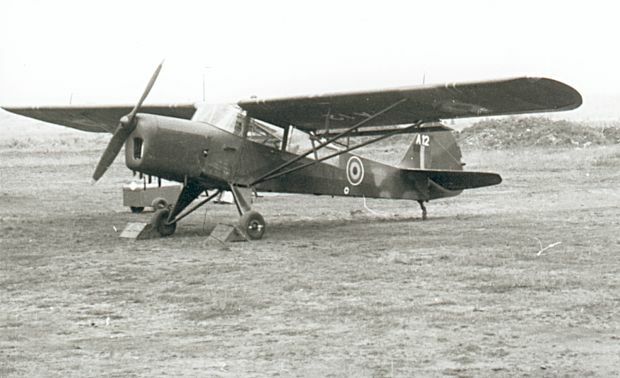 The post-war Auster AOP (Air Observation Post) series was derived from the early British Taylorcraft models. They were improved variants, featuring several design changes which optimized their military roles. 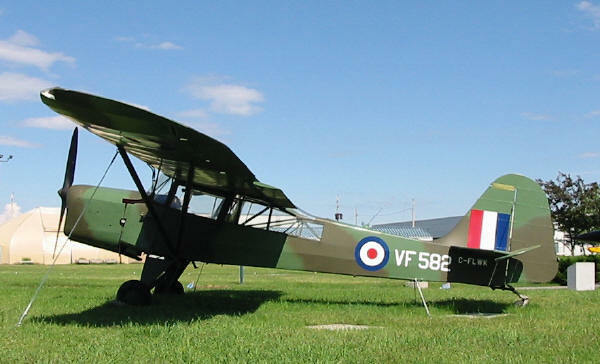 The 145-hp Gypsy Major VII-powered AOP Mk 6 appeared in 1946, with larger fuel tanks, longer landing gear legs, and large trailing-edge flaps. 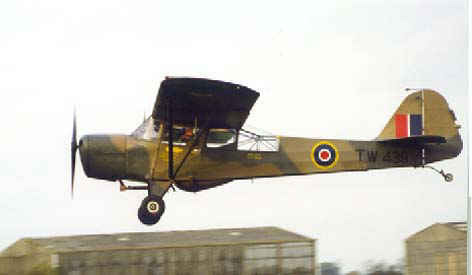 From 1946 to 1953, the RAF took delivery of 312 AOP 6s and used them primarily for target spotting. Their short field take-off and landing capabilities gave them great versatility in this role. The AOP 6 saw combat in Korea and Malaya during the 1950’s, conflicts which led to the development of the AOP Mk 9, the only variant built specifically for military use. The Mk 9, with a 160-hp Blackburn Cirrus Bombardier engine and a bigger wing, appeared in 1955 and remained in service into the late 1960s. Wing Span: 36ft. 5in; Length: 23ft. 8.5in;Height: 8ft. 11in. 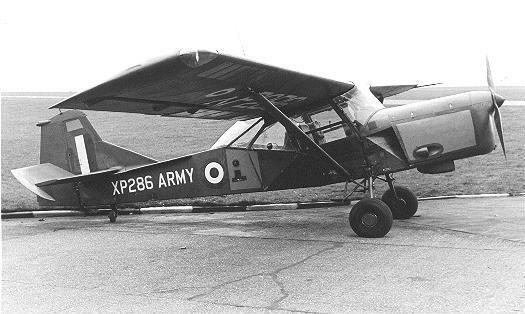 Built as part of an order for 338 Taylorcraft Auster AOP III/V. The final fate of this aircraft is not known. Built as part of an order for 56 aircraft for the Army Air Corps delivered on 11/02/1955, the aircraft was written off on 26/10/1958 and struck off charge on the 28/10/1958 at No.389/390 MU Seletar, Singapore.